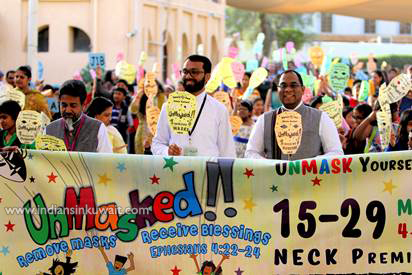 The inaugural function of the St. Peter’s C.S.I Vacation Bible School was held on the 15th of March 2019, at National Evangelical Church, Kuwait.The program commenced with a colorful rally after which the Vicar, Rev. Johnson Alexander welcomed the gathering and introduced the director Rev. Gibin Thampy ( C.S.I Madhya Kerala Diocese). The Vicar of Ahmadi St. Paul’s C.S.I Church, Rev. 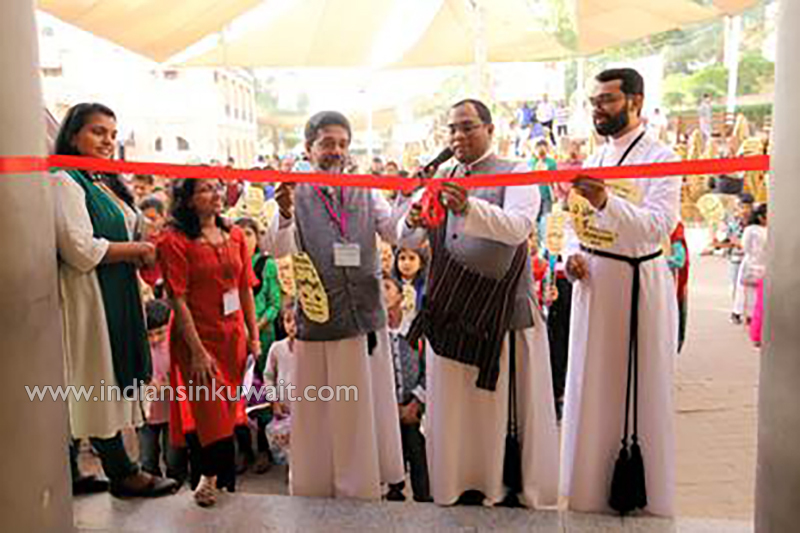 Levin Koshy inaugurated the VBS with the cutting of the ribbon. The VBS Convener, Mrs. Della Merin Daniel led the cheering students along with VBS Secretary Mrs. Asha Leela Thomas and other team members. The program commenced with the music session led by Mr. Ruben Thomas Varghese along with the music team. The VBS Director, Rev. 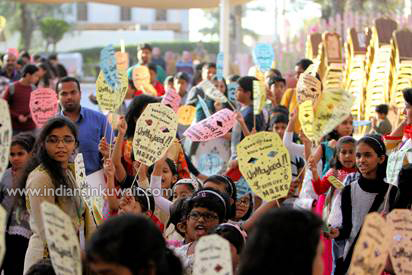 Gibin Thampy made a dramatic entrance in disguise thrilling the children. 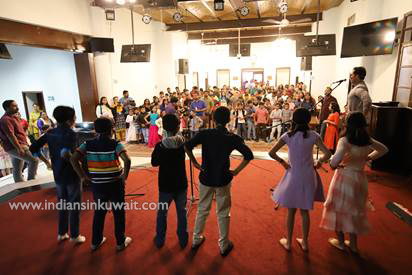 The closing day of the VBS will be on 29th March 2019 at the NECK, Kuwait.